Two U.S senators are reportedly making a last-ditch effort to pass a bill that would allow carmakers to deploy tens of thousands of experimental self-driving test cars on roadways. As a concession to safety advocates who have criticized the House version of the bill for months, Senators John Thune (R-South Dakota) and Gary Peters (D-Michigan) made changes that would allow people injured or killed by the technology to sue. They made the changes after critics pointed out that a loophole in the House version of the bill would have sent all legal disputes to forced arbitration. The new Senate version also includes language asking automakers to ensure that pedestrians, bicyclists, and motorcyclists would be detectable by the technology. Among other additions, the new version includes a requirement that crash reports be submitted specifically involving Level 2 systems, or the semi-autonomous technology currently available to consumers in the form of Tesla’s Autopilot or General Motors’ Super Cruise. The bill otherwise caters to auto and tech industry demands for an easy and fast self-driving test program. Both the House and Senate versions of the AV Start Act allow carmakers to deploy up to 100,000 self-driving test cars that are exempt from existing auto safety standards on U.S. roadways. According to safety advocates, that’s all a major problem. “The AV START Act, is being raced through the Senate under the guise of advancing safety, despite not even requiring autonomous vehicles (AVs) to meet all of today’s safety standards,” says an open letter signed by advocacy groups representing police chiefs, bicyclists, wheelchair-users, pedestrians and brain injury victims. Numerous professional associations signed off on the letter, including the American Public Health Association, the National Society of Professional Engineers, the Emergency Nurses Association, and the National Association of Police Organizations. While safety advocates acknowledge that self-driving cars should be exempt from some safety standards -- a fully autonomous car probably won’t need a wheel -- they say that the current version of the bill doesn’t spell any of those specifics out. “The AV START Act would allow for potentially millions of exempt vehicles to be sold, not just used for testing,” the letter continues. The coalition says it would be satisfied if the bill were rewritten to include minimum safety and testing standards, among other requirements. Currently, federal legislation allows up to 2,500 self-driving test cars to be deployed on roadways. Federal regulators only have voluntary guidelines for the technology and otherwise have let states iron out the specifics. California law requires self-driving test companies to submit crash reports, but other states like Arizona have taken a more lax approach to regulation. At least two motorcyclists in California have been involved accidents involving self-driving cars, though the industry in both cases blamed human error, not the technology. And in Arizona, a woman walking her bike across the street last year was killed by a self-driving Uber that had its emergency braking system disabled by the company. At a presentation several years ago at the International Motorcycle Conference in Germany, one researcher claimed his work showed that the forward collision warning systems in the self-driving technology he evaluated did not detect motorcyclists in 41 percent of cases. 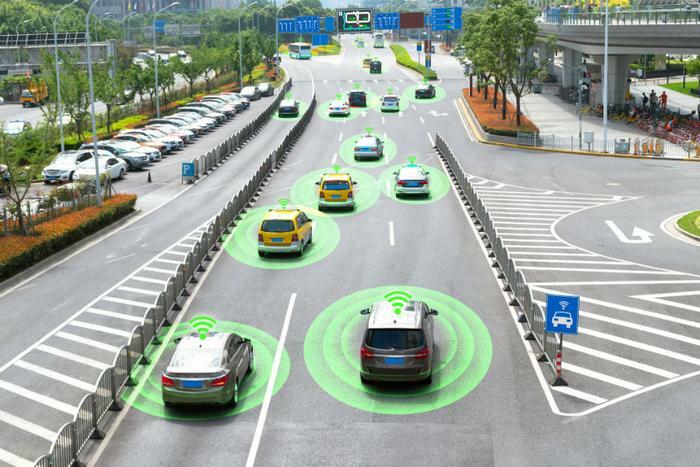 Meanwhile, trade groups representing major players in the automotive, telecommunications, and self-driving technology industries say that passing the bill soon will save lives. “Government data shows that human choice or error is a factor in approximately 94 percent of all crashes on U.S. roads -- crashes that took the lives of an estimated 40,000 men, women, and children in 2017,” says an open letter published in September by the Alliance of Automobile Manufacturers.